Are You Charging Enough to Cover Your Costs AND Make a Profit? The purpose of being in business is to make more money than it costs to provide your goods and service, right? And “what should I charge?” can be a loaded question. You’re making money, but is it enough? You start out where you’re comfortable and confident people will buy. If you’ve priced it right and you’re making sales easily, congratulations are in order (and it’s time to raise your prices). However, if you’re business is working at capacity and you have more expenses than income, your pricing and your operations need to be reviewed. Growing your business means more than gaining new customers. It’s actually 6-7x more expensive to gain a new customer, than it is to keep a current one. (Source: White House Office of Consumer Affairs). Having the right customers is critical to your success. When you raise your prices your low-quality customers will go elsewhere, your high-quality customers who see the value in what you charge will stay, and you’ll have room for more of the same. When figuring out where your new pricing should be, look at what other companies are doing. You may not want to be the lowest, or the highest, and show your customers the quality and service that comes with your relationship. Most consumers have heard the saying, “you get what you pay for.” If your services are too low, many buyers will assume there’s something wrong with it. Also, other companies may follow suit and lower their prices, and then you’re just in a race to the bottom. By raising your pricing, you need to look at the whole service. Will you also need to improve your quality of service? What other high-value items can you provide to your customers? Focusing on their overall experience shows your customers how much you value them. Each year be sure to look at your pricing and your business’ financial health. 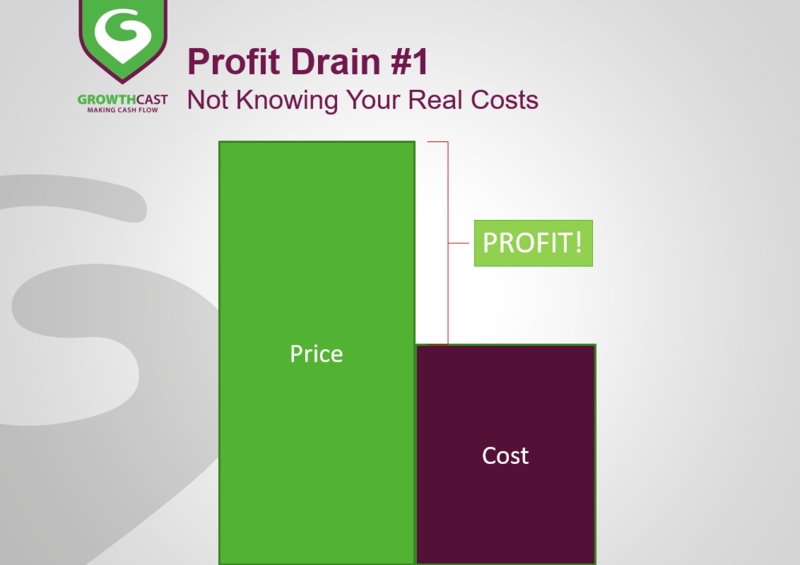 Not knowing the real costs of what it takes to sell your products and services is the #1 profit drain. Plug it by increasing pricing when needed to help your cash flow and company grow. Have questions about costs, pricing, profit, and putting your business finance fears in perspective? Reach out to me at judi.otton@growth-cast.com.